scholarship. The scholarship will go towards helping to support Stauffer’s pursuit of a career in the plumbing, mechanical, or technical field. 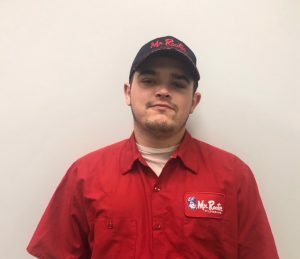 Stauffer is studying plumbing, installation, service and repair at Mechanical Skills Institute and working full-time for Mr. Rooter Plumbing in Indianapolis, Ind. With the scholarship, he plans to obtain a journeyman certification in plumbing and eventually open his own business. For more information on the PHCC foundation, visit http://foundation.phccweb.org.